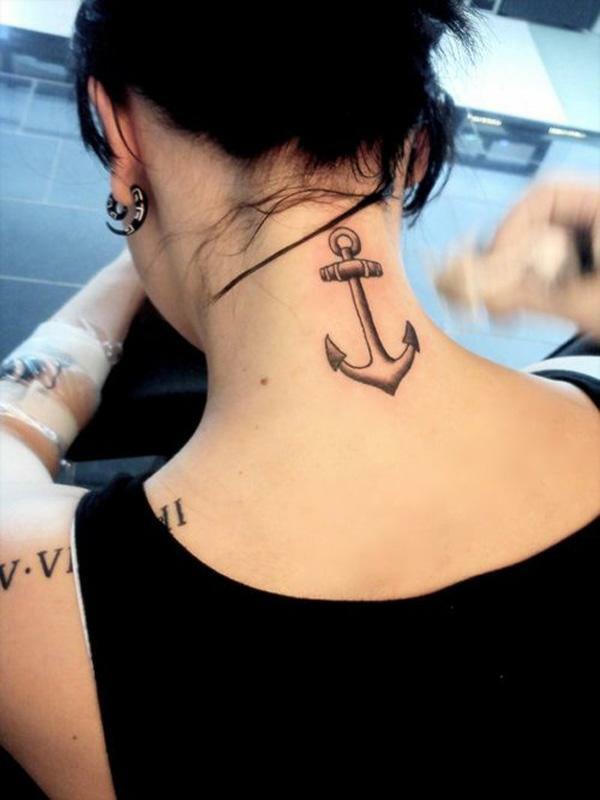 Anchor tattoo is another maritime tattoo that is popular among sailors or pirates as a symbol of their love for the great sea. 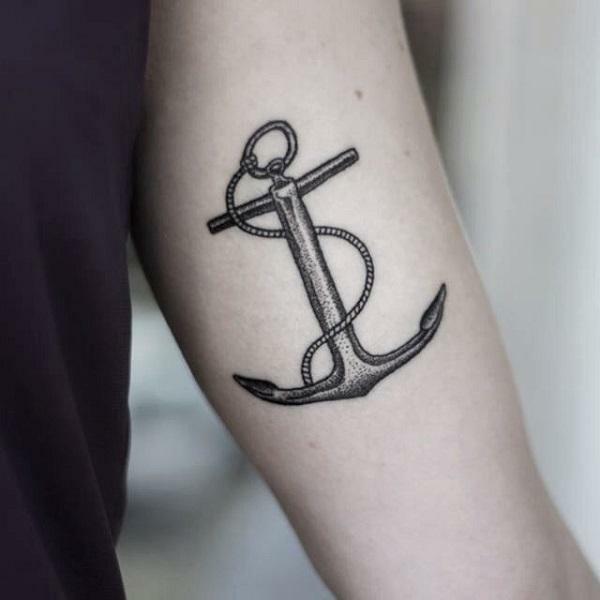 There are a lot of symbolic meanings associated with anchor. 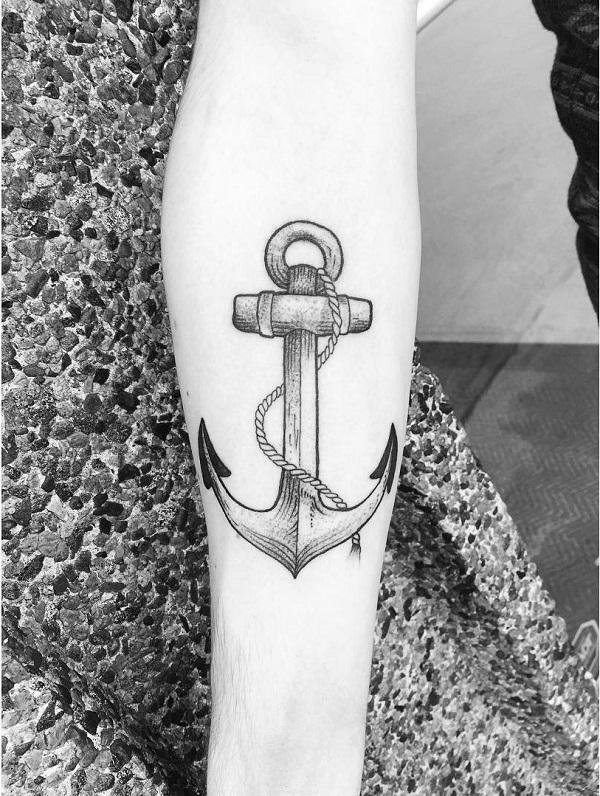 An anchor is used to moor a vessel to the sea bottom, which reminds people that anchor is symbolic of stability, safety and hope. 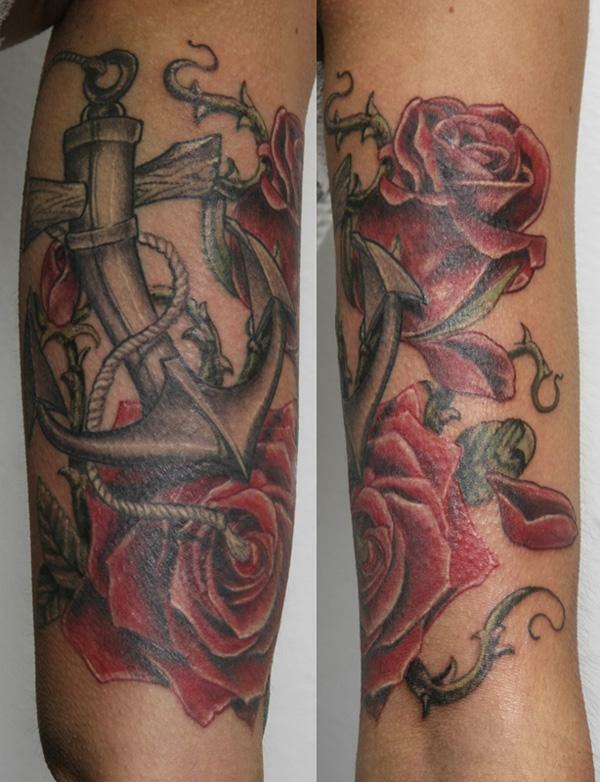 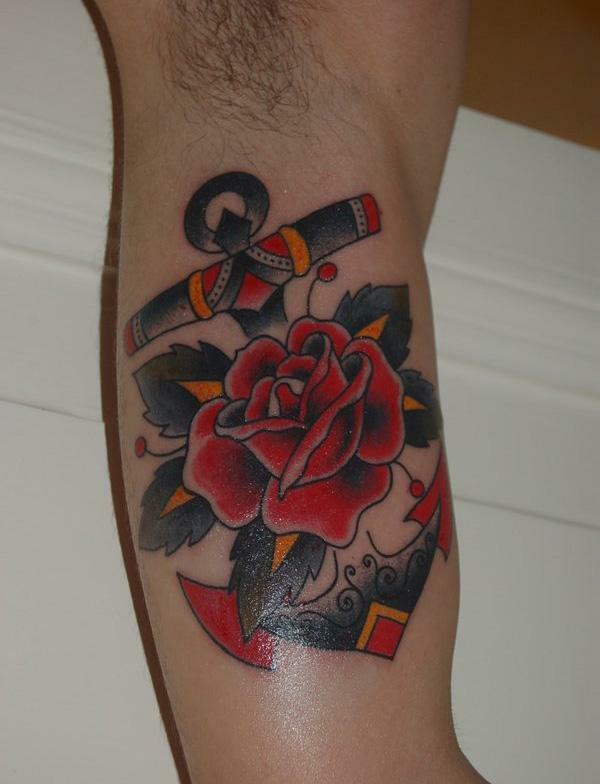 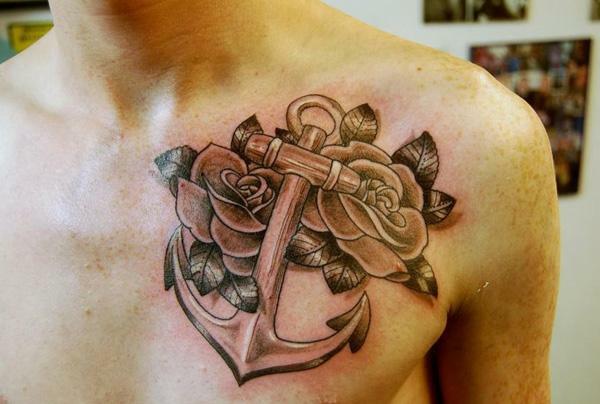 An anchor entangled with roses tattoo means protected love. 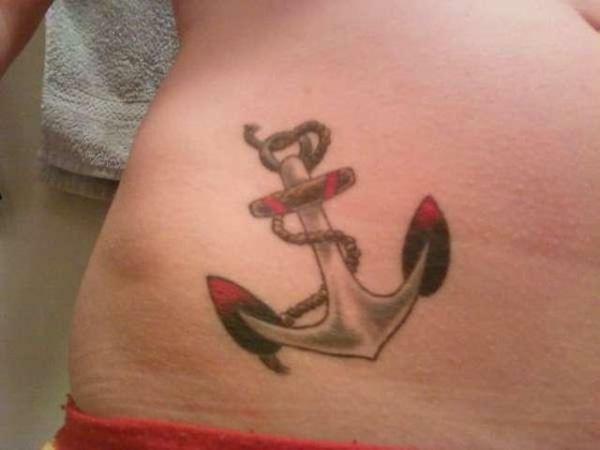 Anchor tattoos are common among US military. 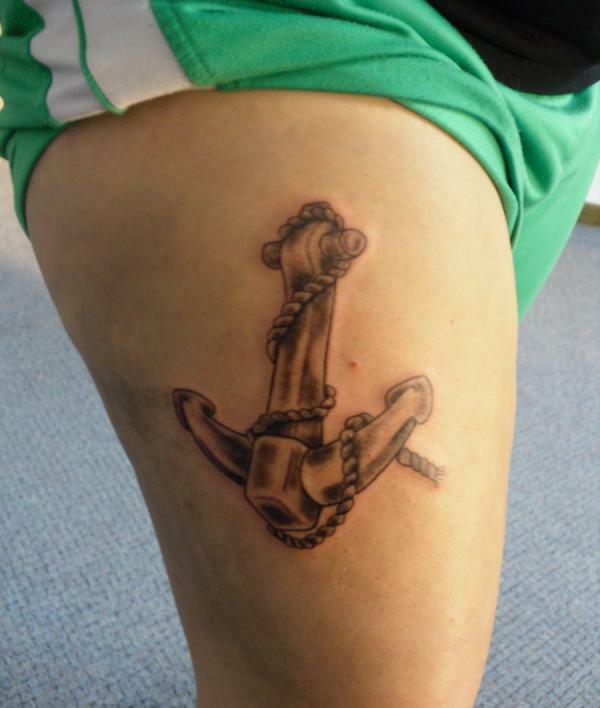 The fouled anchor is a Naval symbol of an anchor with a chain wrapped around it. 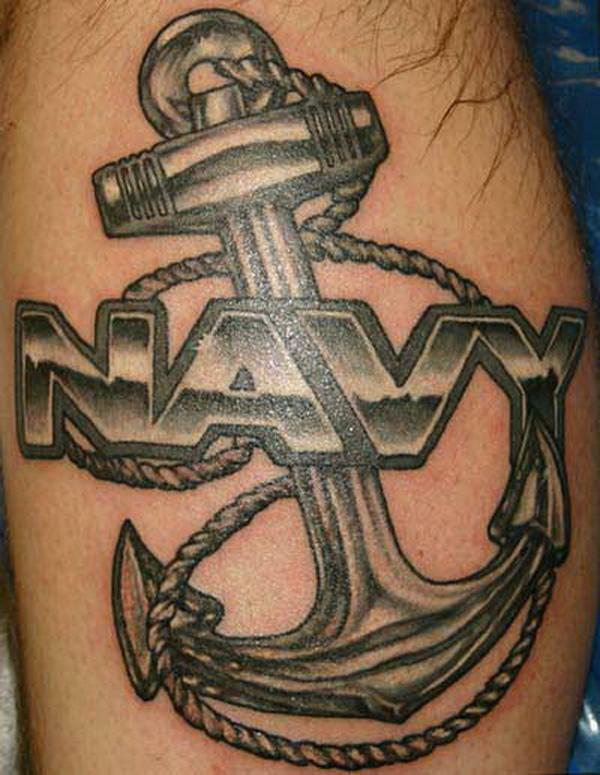 It is generally utilized when speaking of items of historical value such as the US Navy Chief Petty Officer emblem. 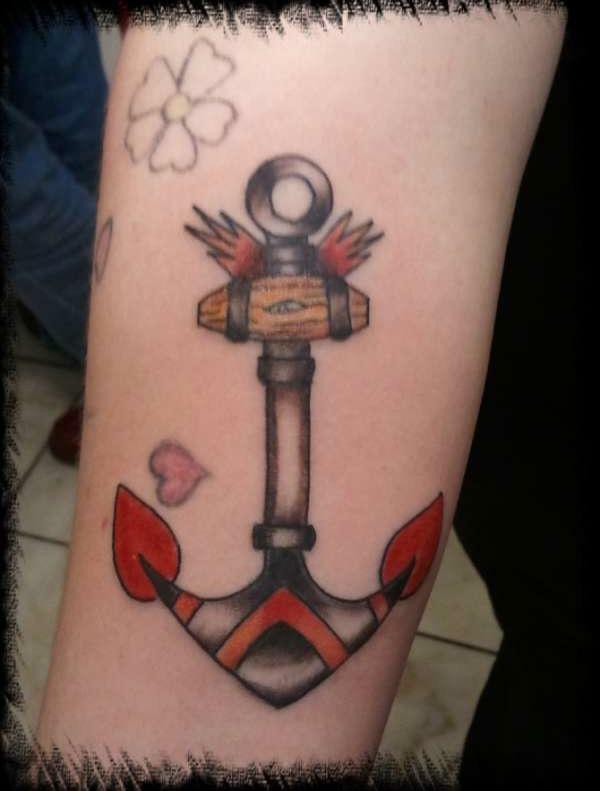 The “USN” stands for Unity, Service and Navigation. 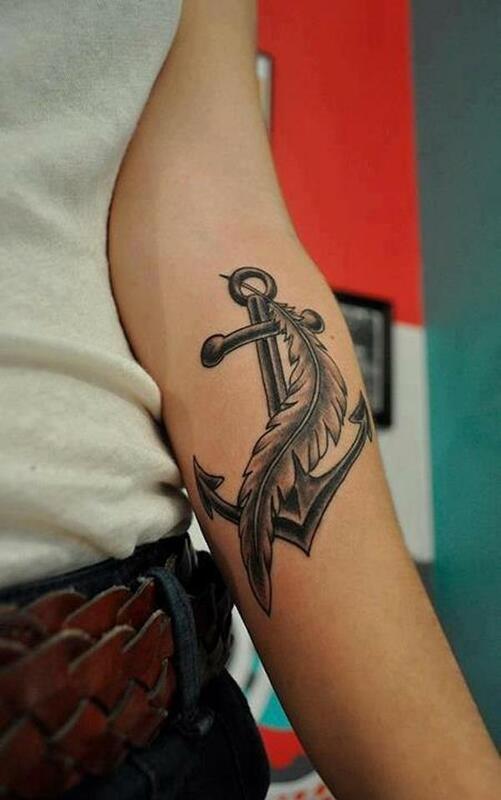 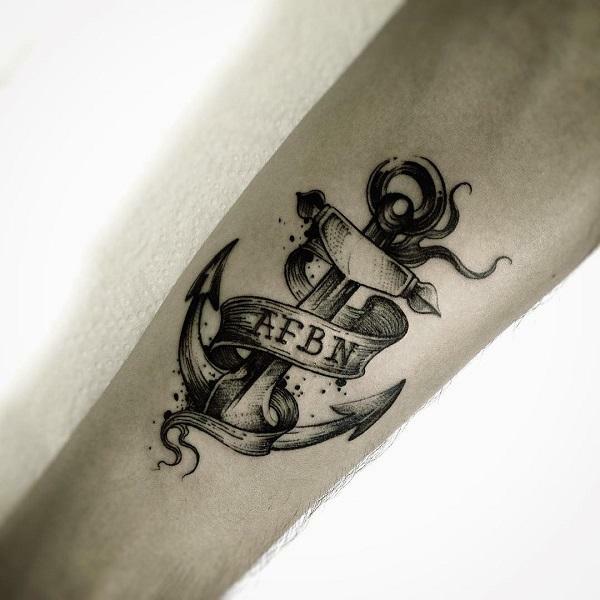 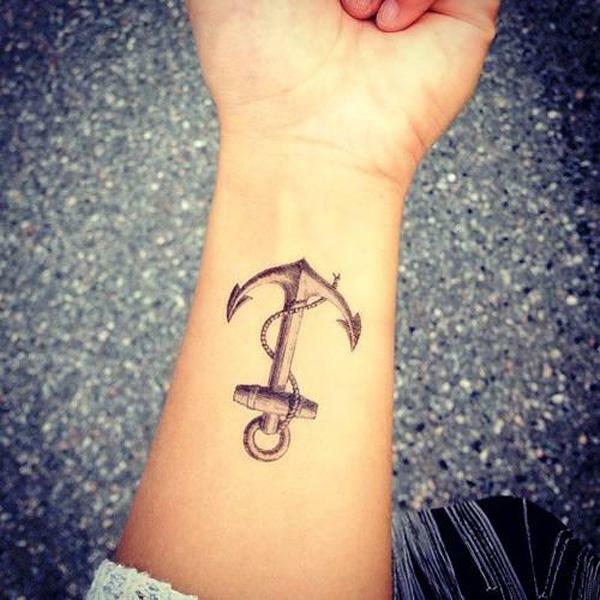 Nowadays, anchor tattoo is a perfect combination of fashion icon and its symbolic meaning. 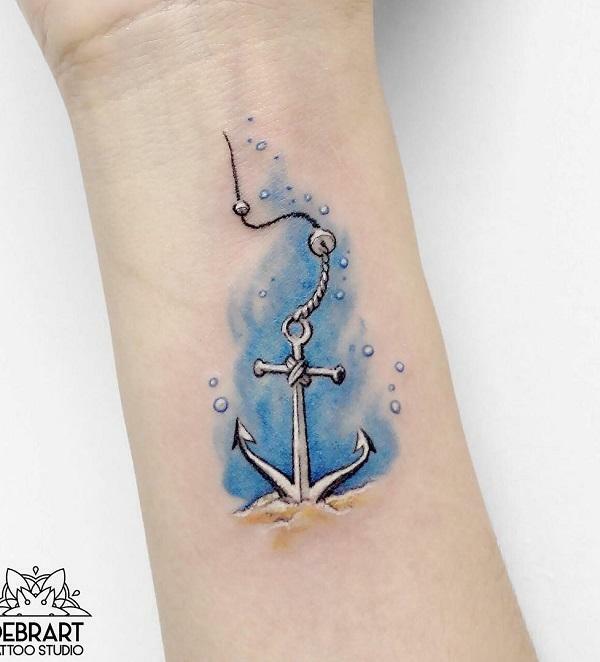 It often appears in a small tattoo on the neck, wrist, side, which looks cute and lovely. 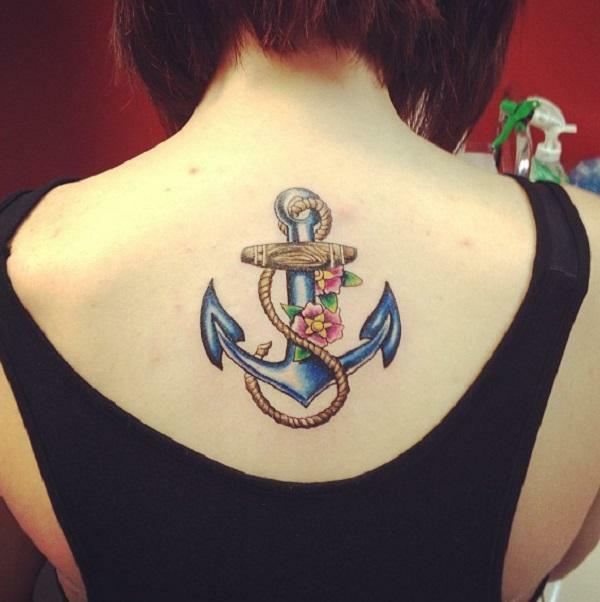 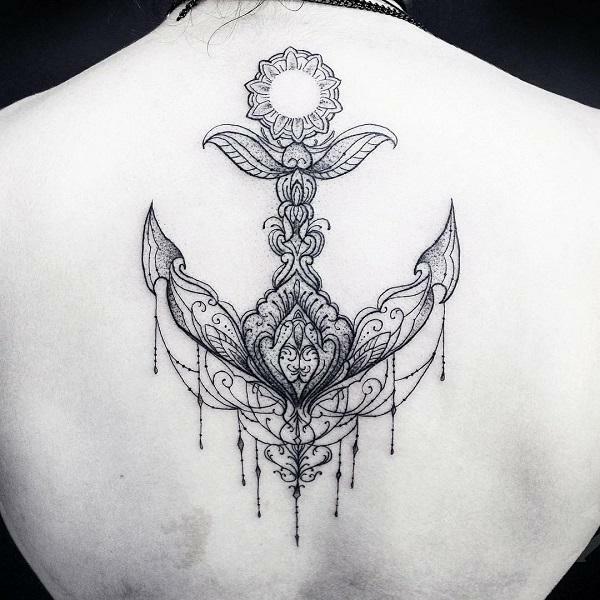 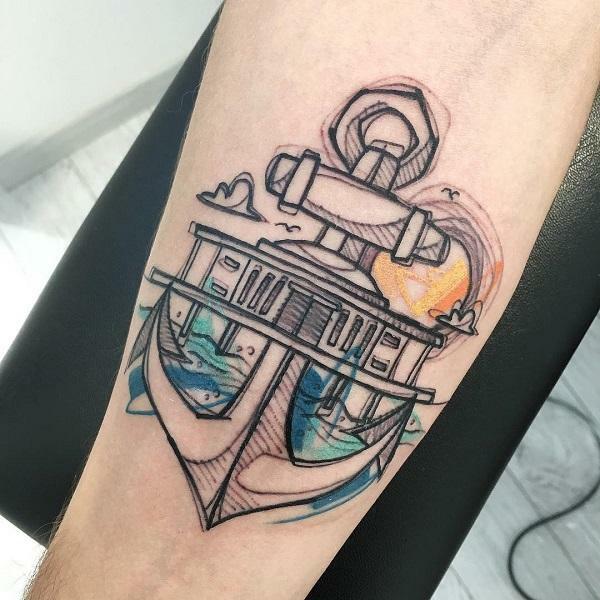 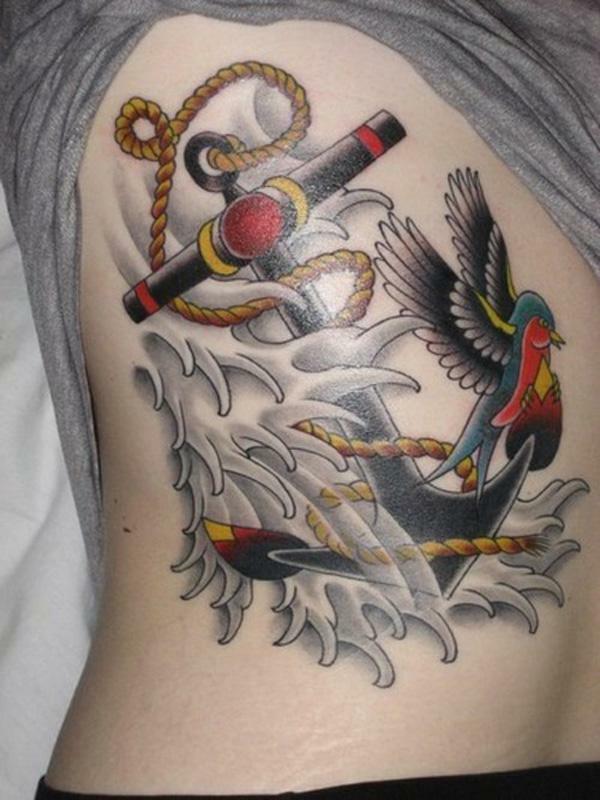 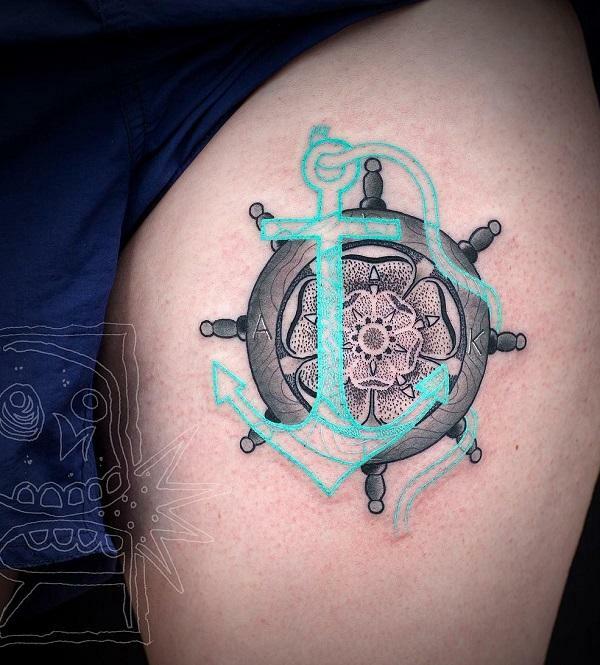 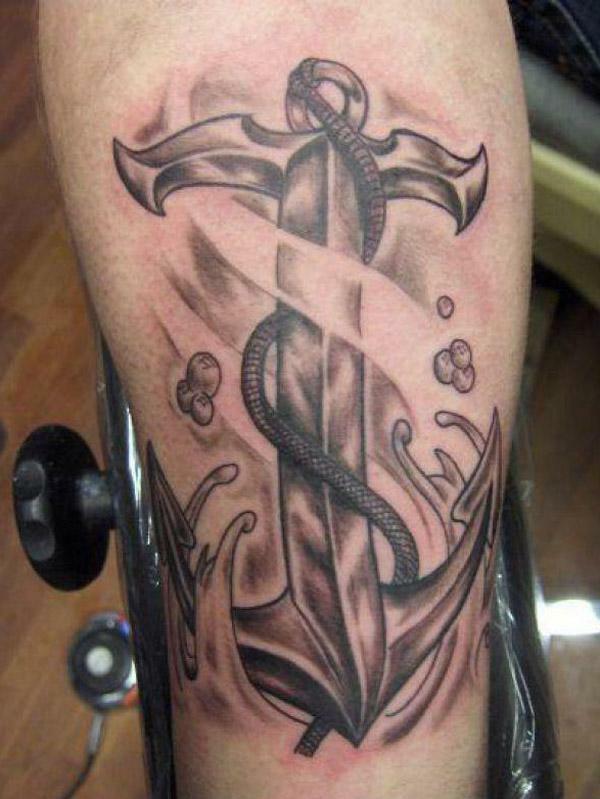 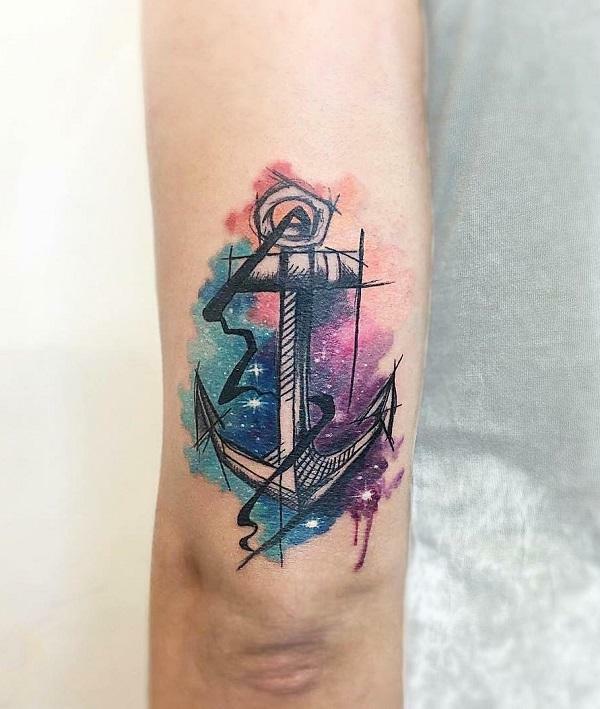 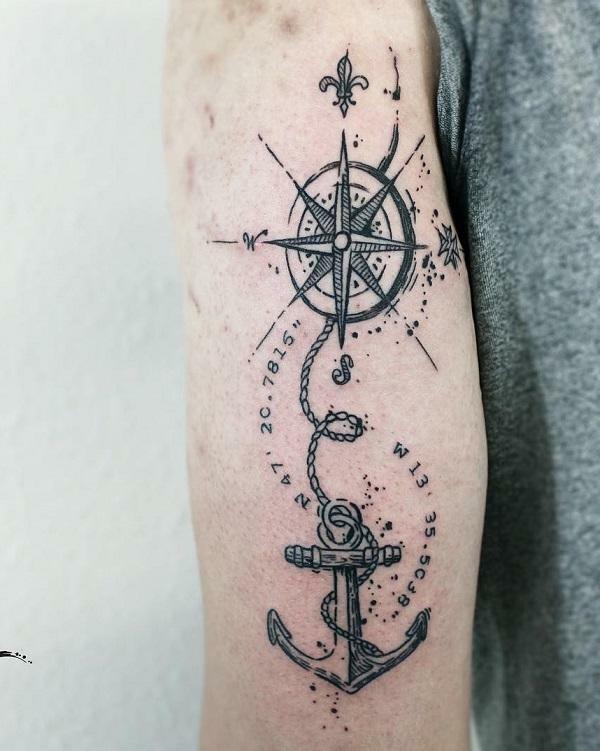 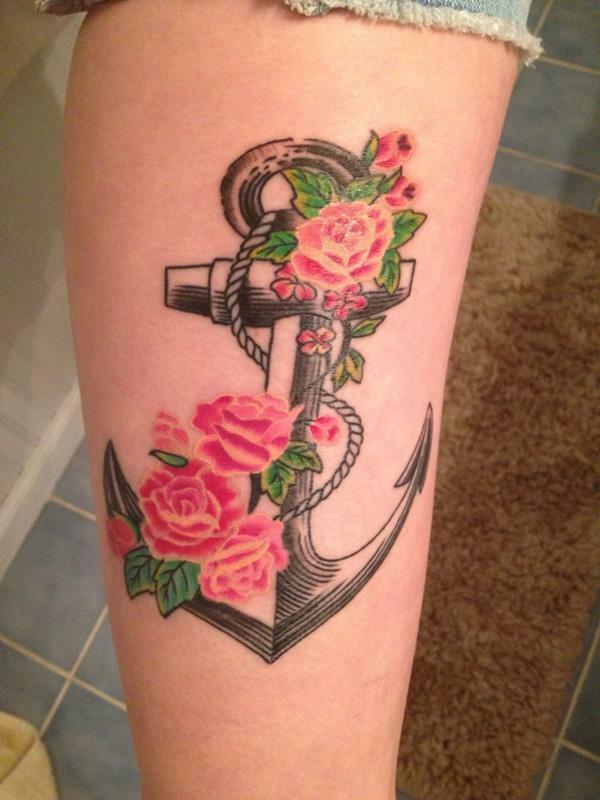 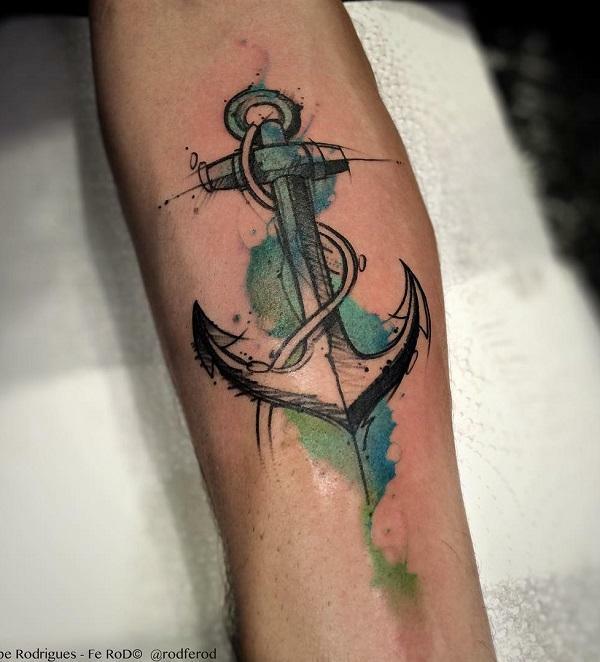 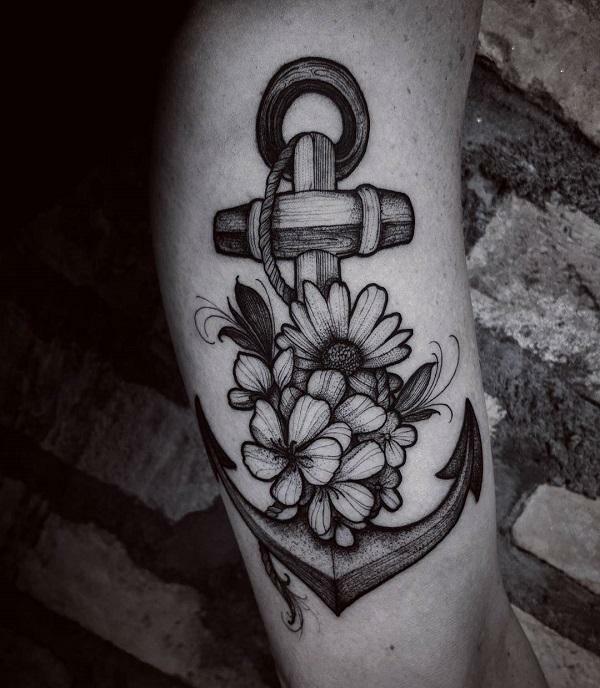 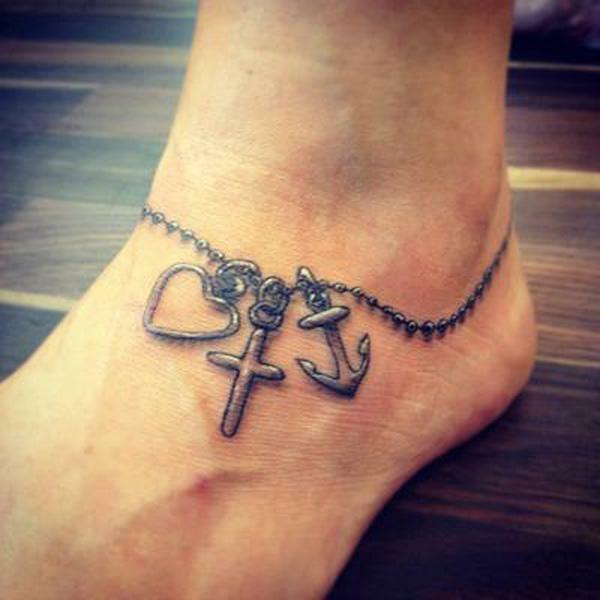 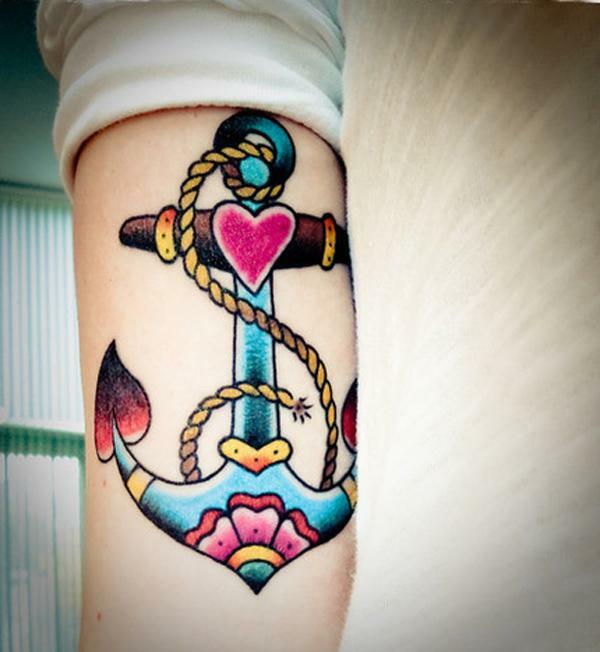 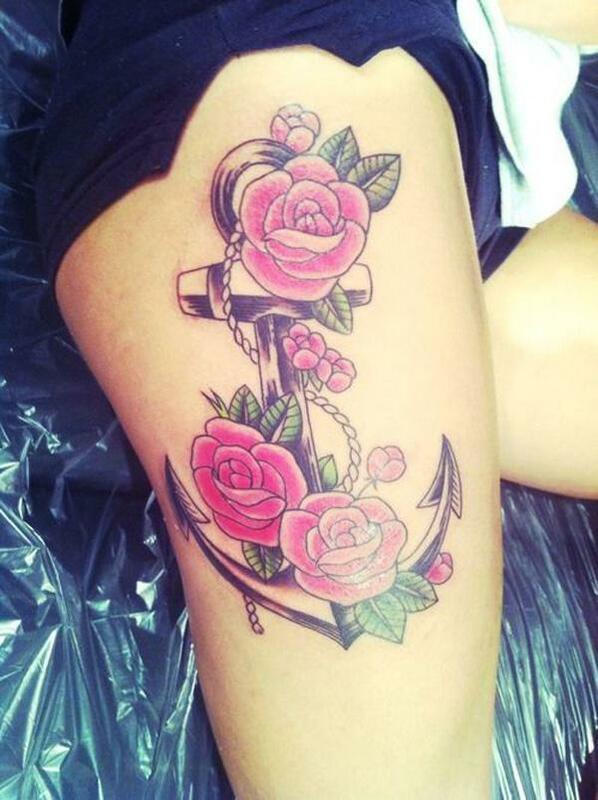 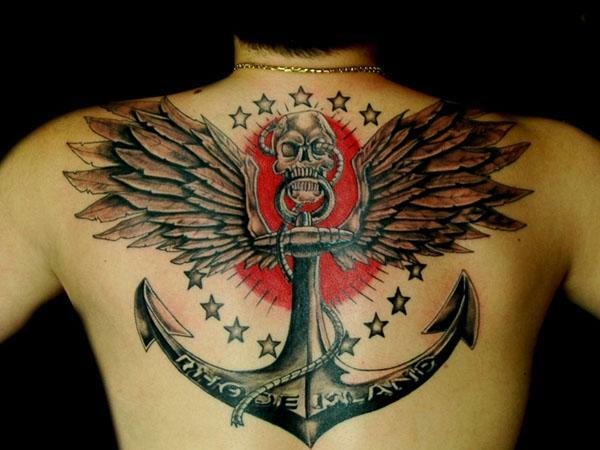 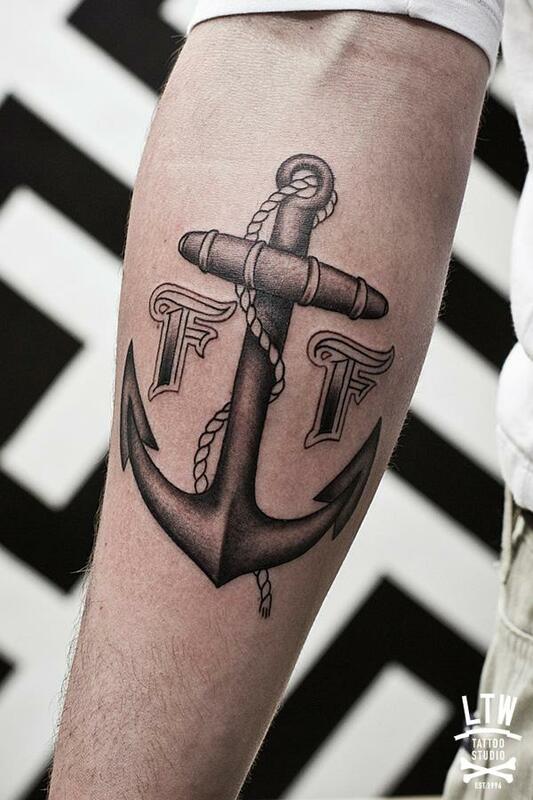 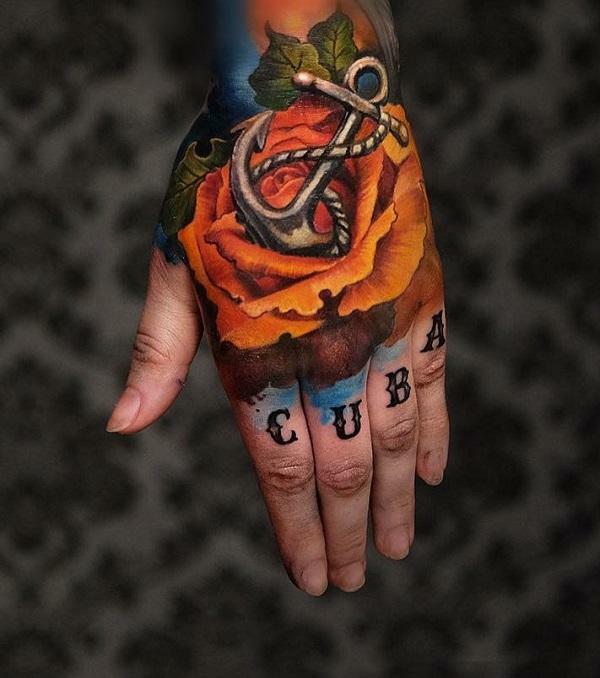 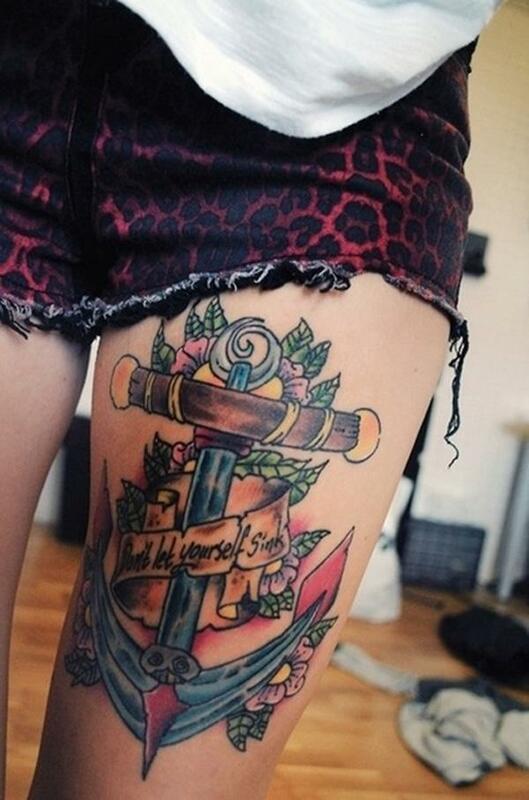 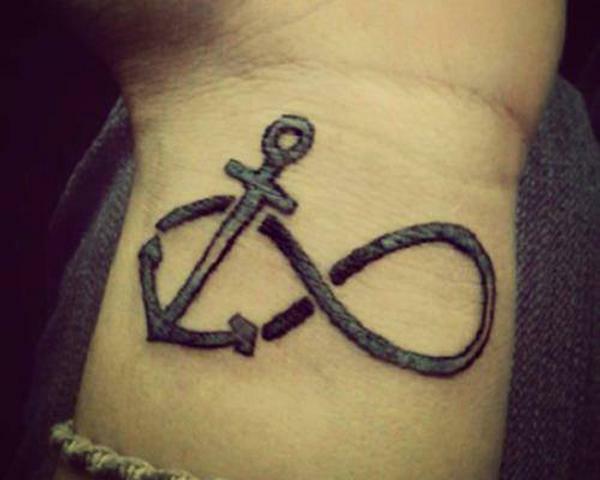 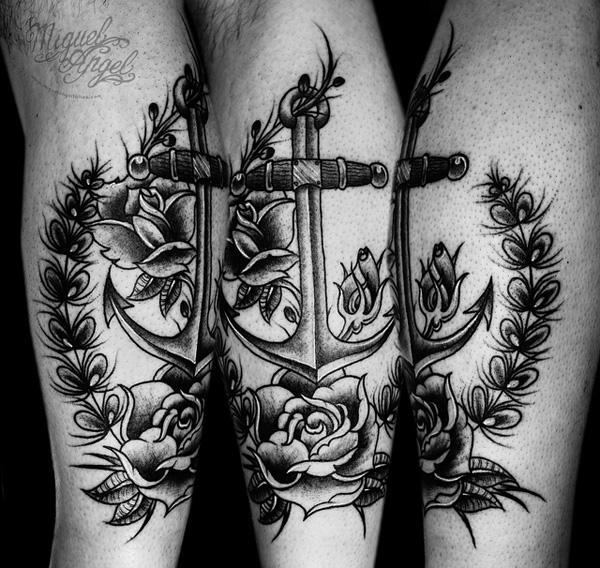 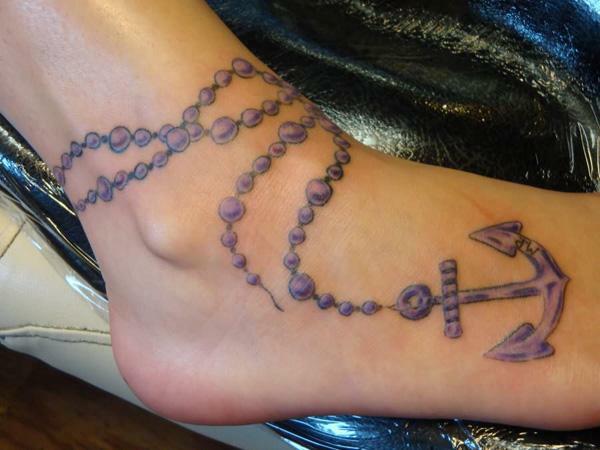 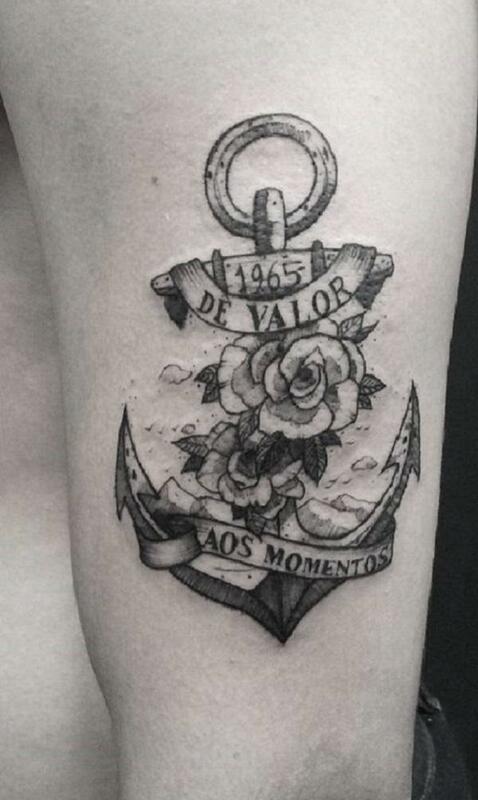 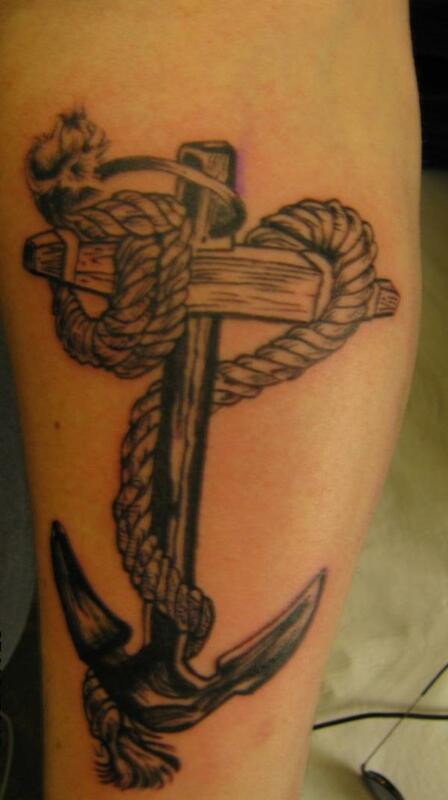 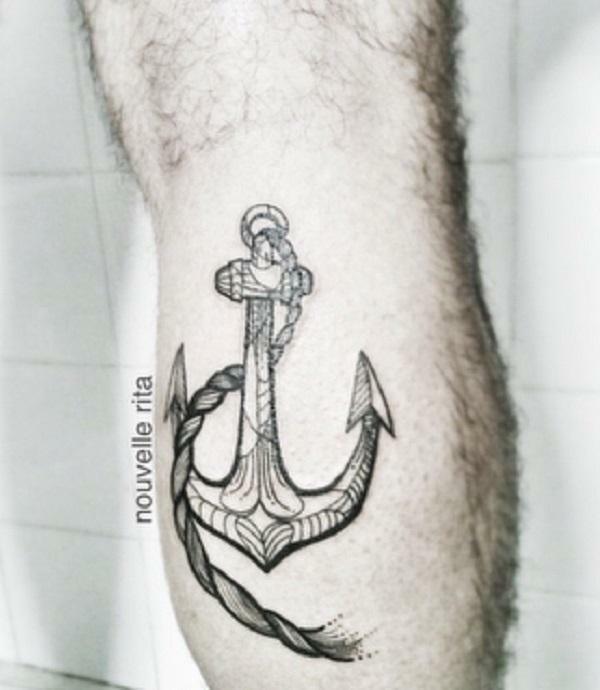 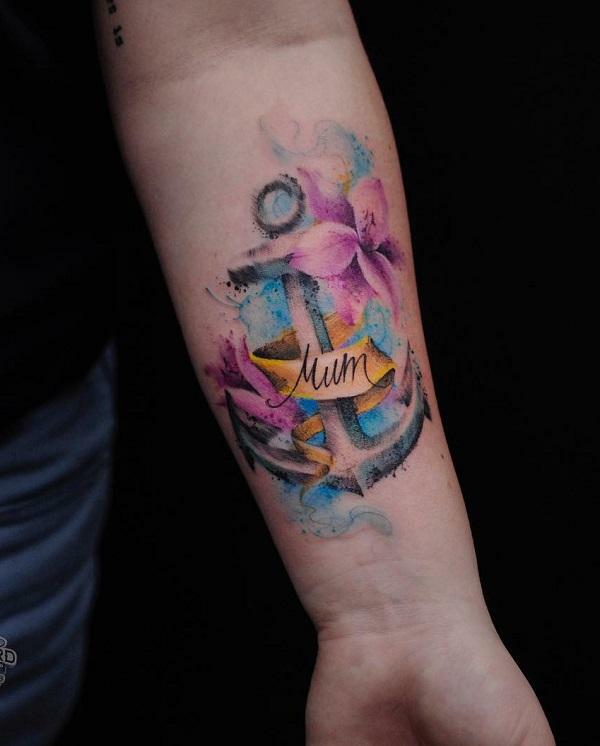 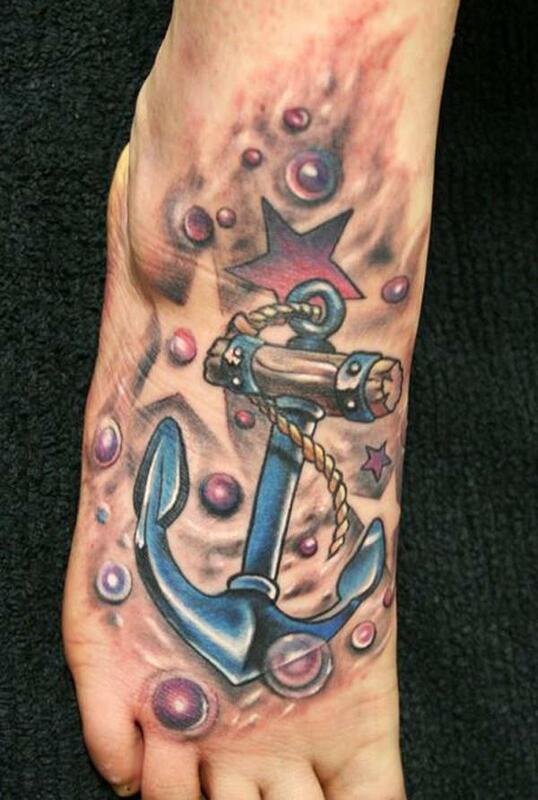 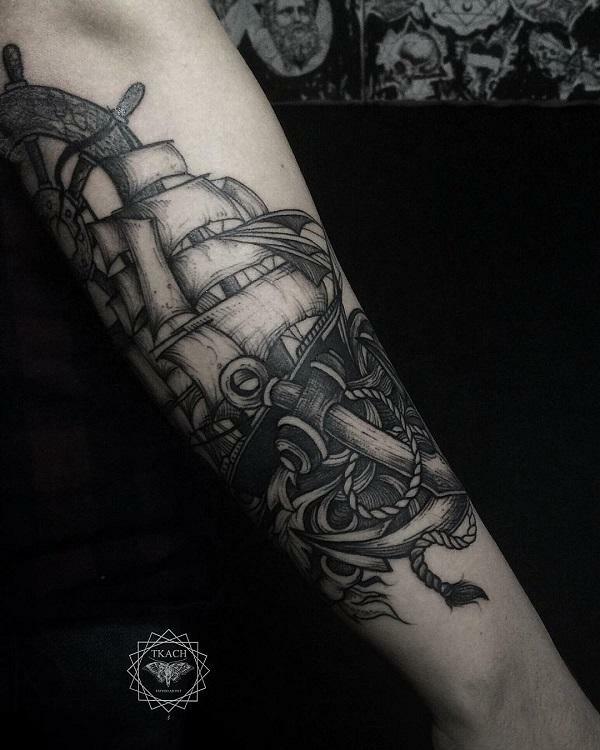 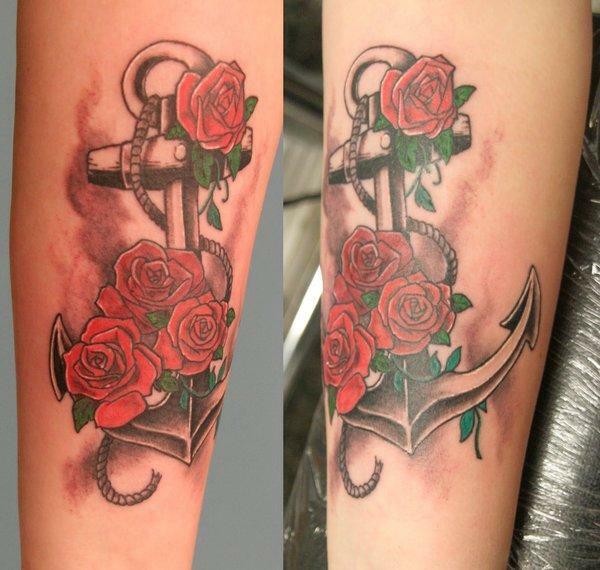 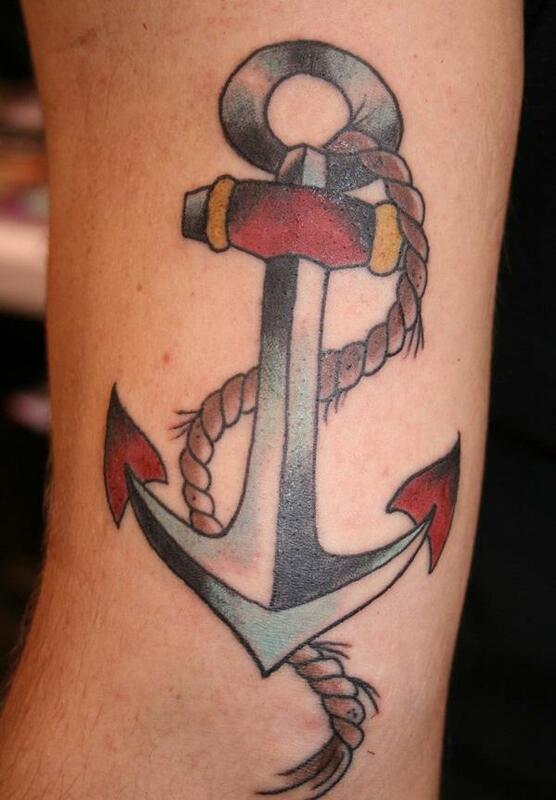 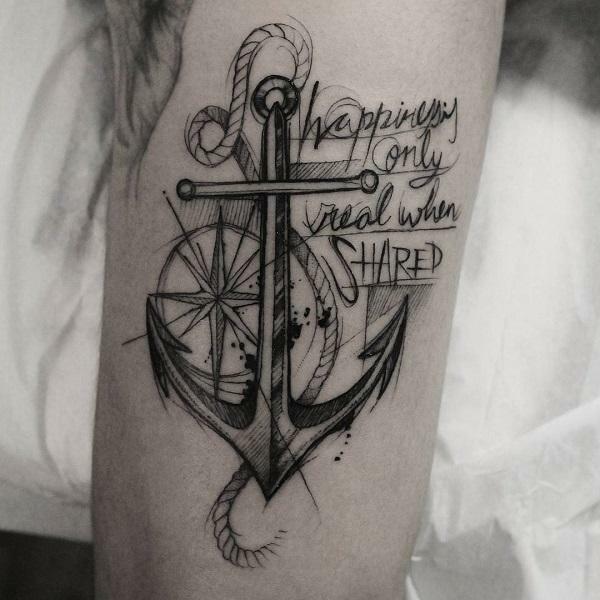 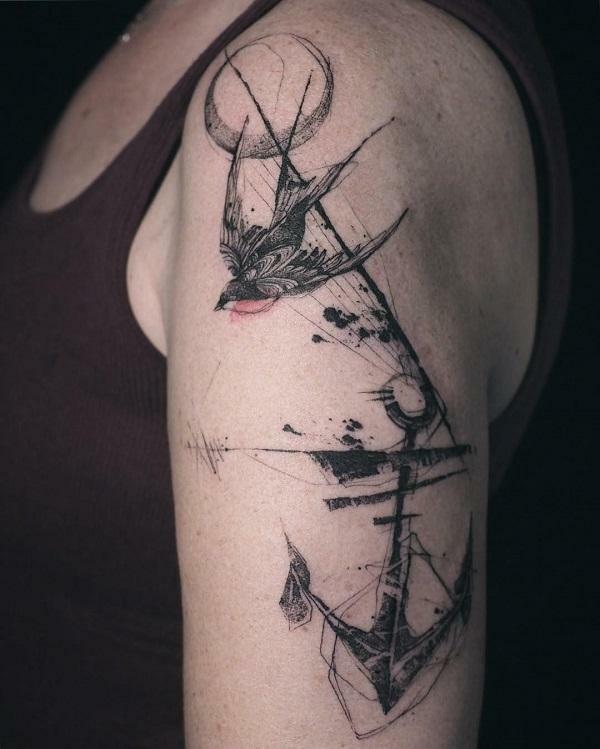 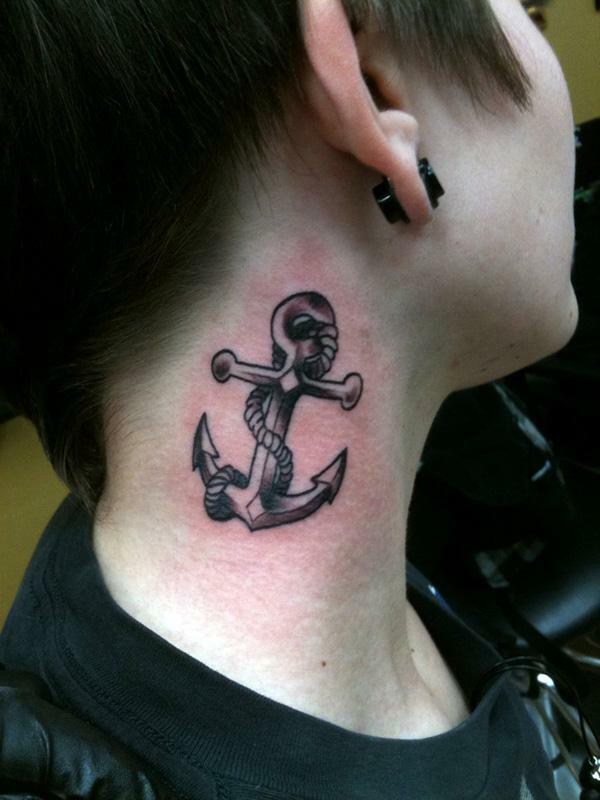 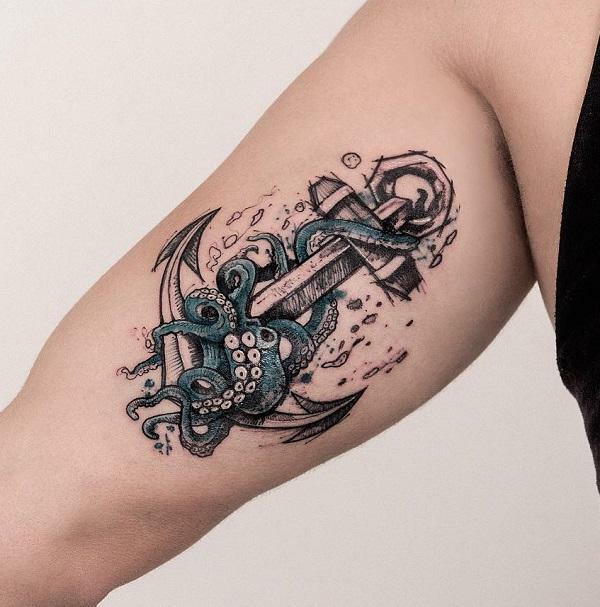 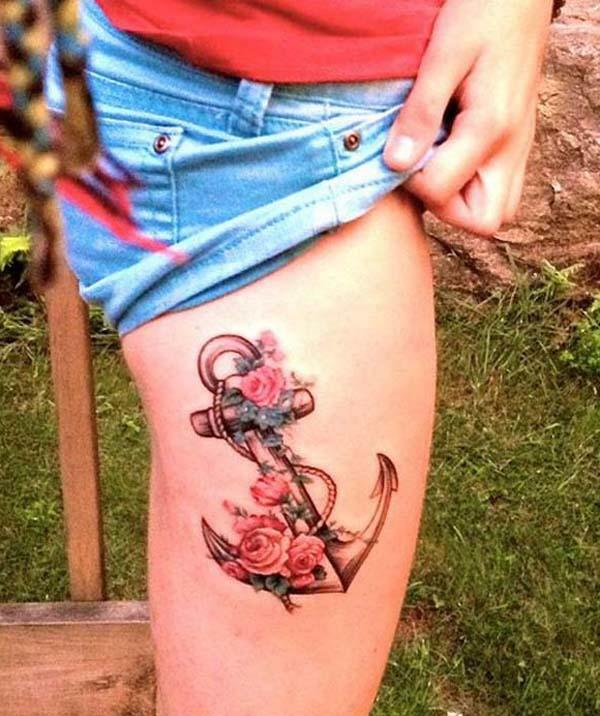 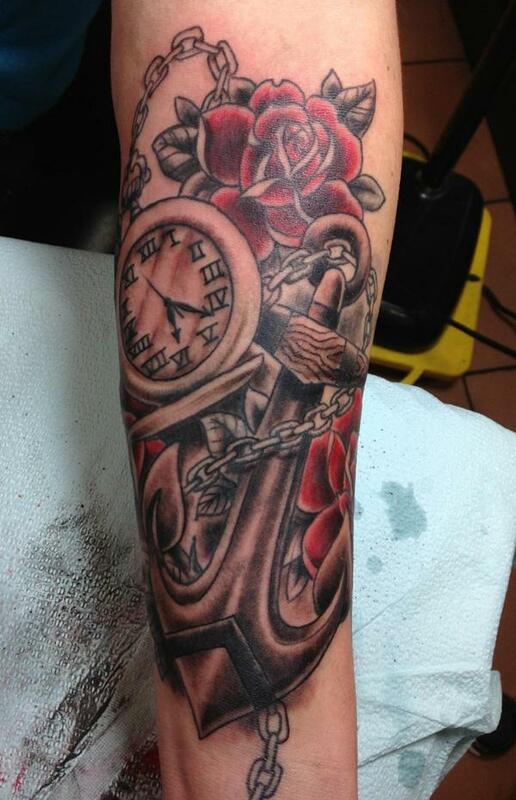 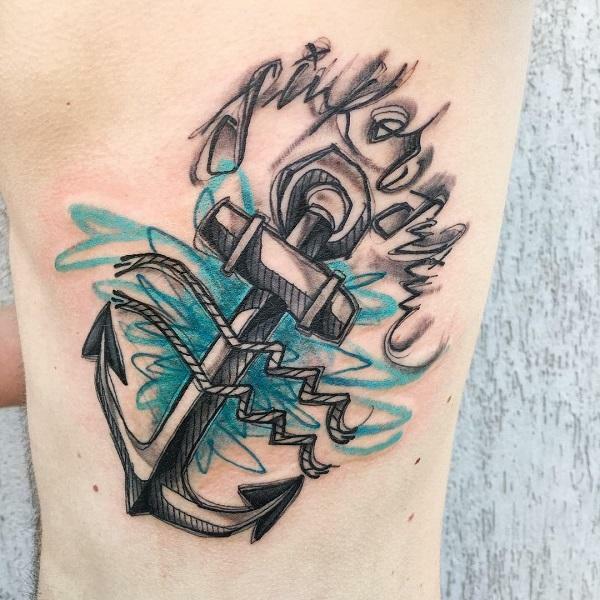 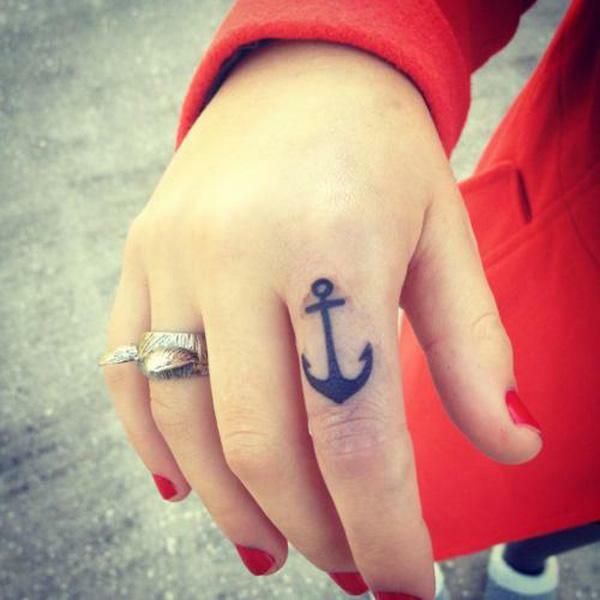 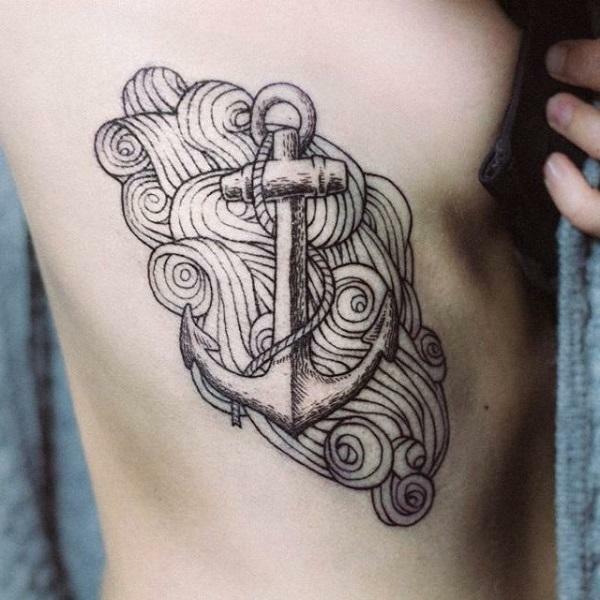 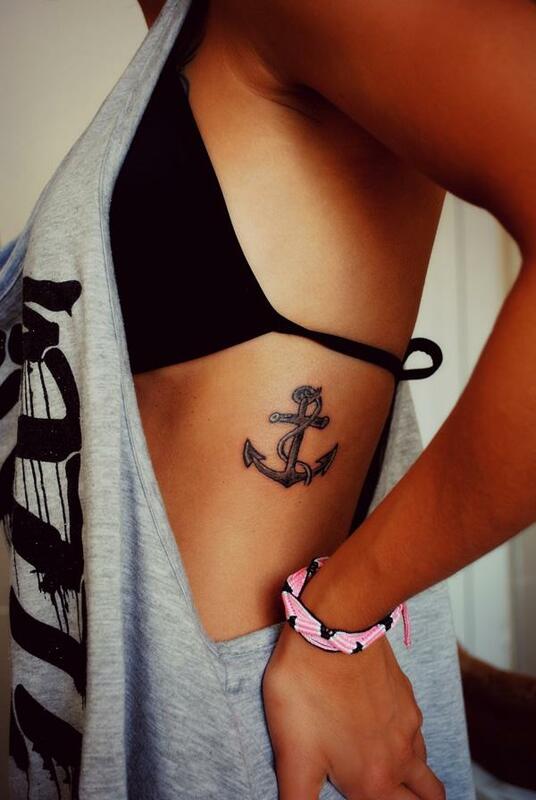 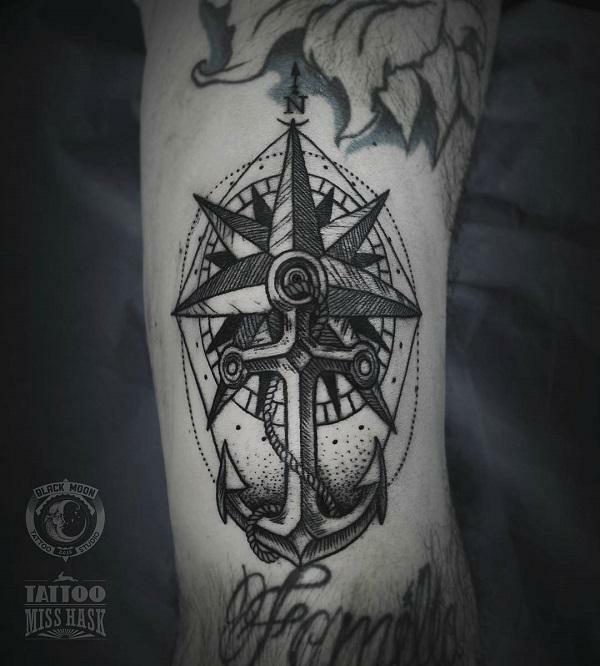 In this post, please enjoy the collection of 35 awesome anchor tattoo designs. 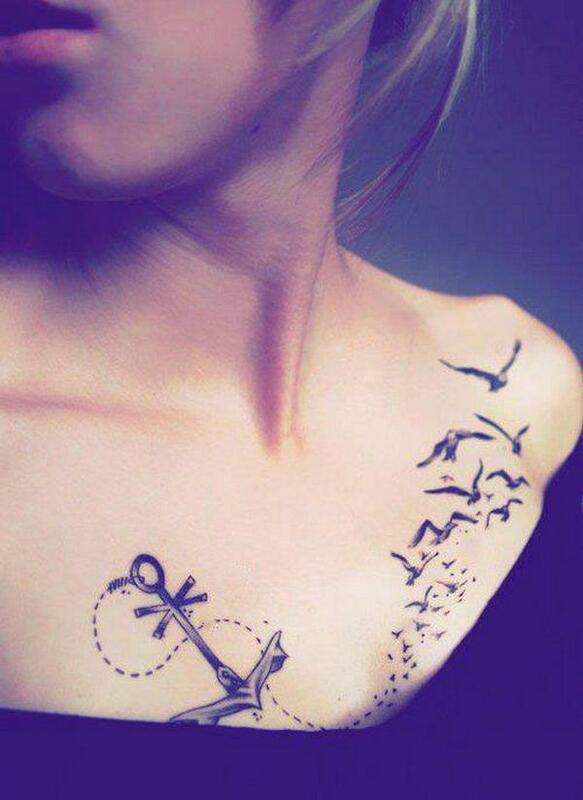 Feel free to Pin it if you like any of them.